At first there was Facebook. But now there’s Google Plus. And yeah, I like it. But what is a social network without contacts? Probably nothing. 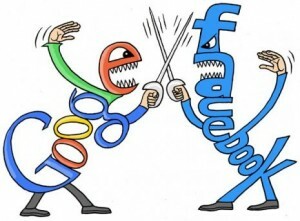 But who thinks, Facebook contacts can be easily transfered to Google, is on the wrong way. For a short time there was this plugin for the Chrome browser, named Friend Exporter, which has taken over the job very well. However, this was quickly blocked by Facebook. But there is another way that I want to show you below. The workaround to import the contacts works with the help of Yahoo mail. If you have no account there, then you can just create one here. It’s free and takes less than 2 minutes.